When there was a last-minute opening on the TryBrompton Demo Tour, I jumped at the opportunity to borrow one of these iconic folding bikes. Made in London, Brompton makes folding bikes that are ideal for cities. With 16″ wheels and sturdy steel frames, they can be easily carried from subway to street and back again. And they’re damn good-looking. 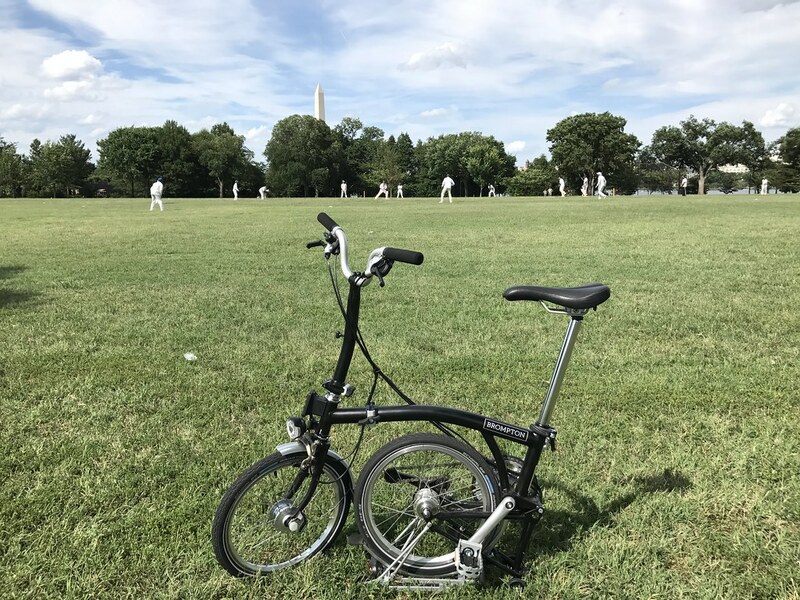 I’ve been in love with the bike since seeing them by the score at the Brompton Challenge, where Brompton riders raced through Congressional Cemetery and participated in folding/unfolding competitions. I have experience with folding bikes, too. 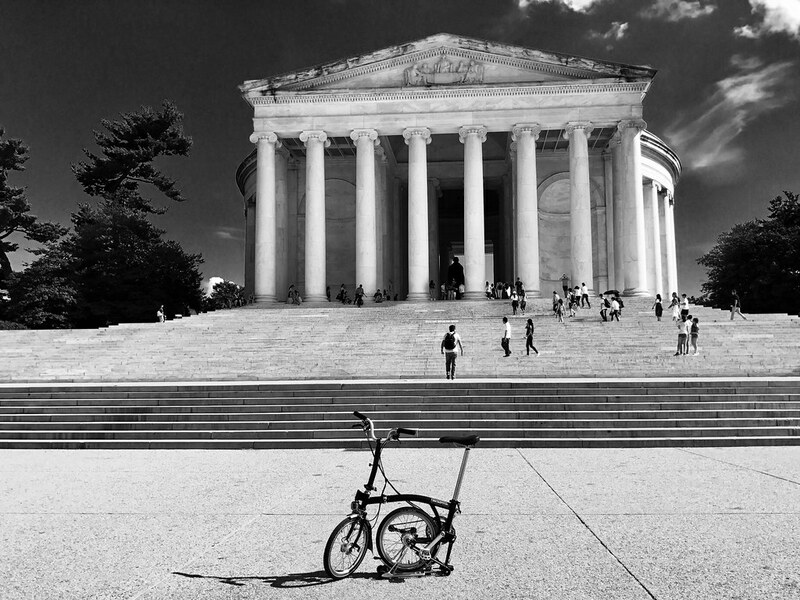 One of my favorite bikes ever was a Dahon foldy – my beloved foldy – that I bought for $300 off Craigslist and took with me all over the country. Fun to ride and rock-solid (well, at least until the frame cracked), that bike was my constant companion on the rutted streets of Washington, DC. 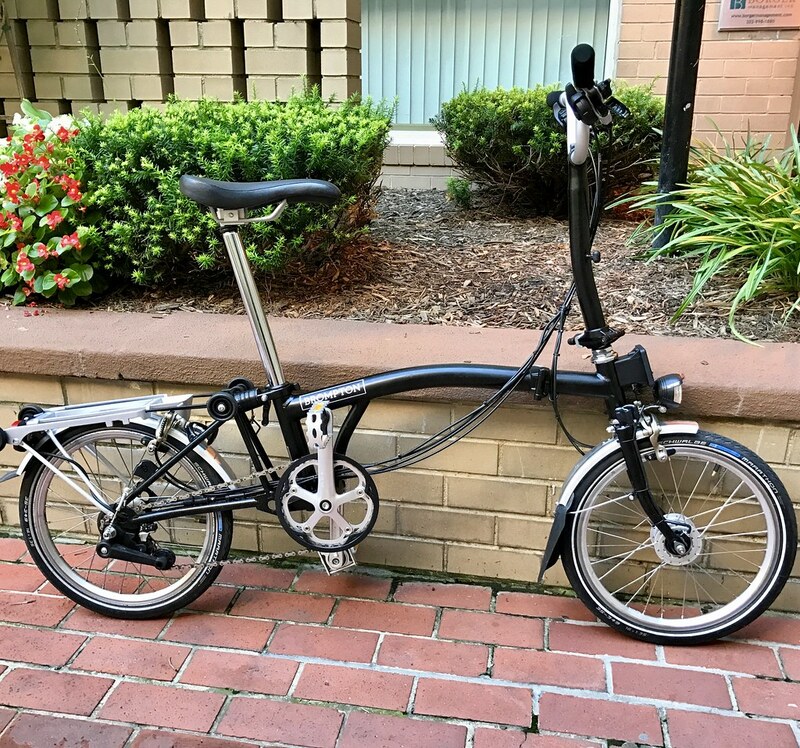 Given my experience with another folding bike, I was curious to try the Brompton. What do you get from a $1600 Brompton compared to a considerably cheaper foldy? 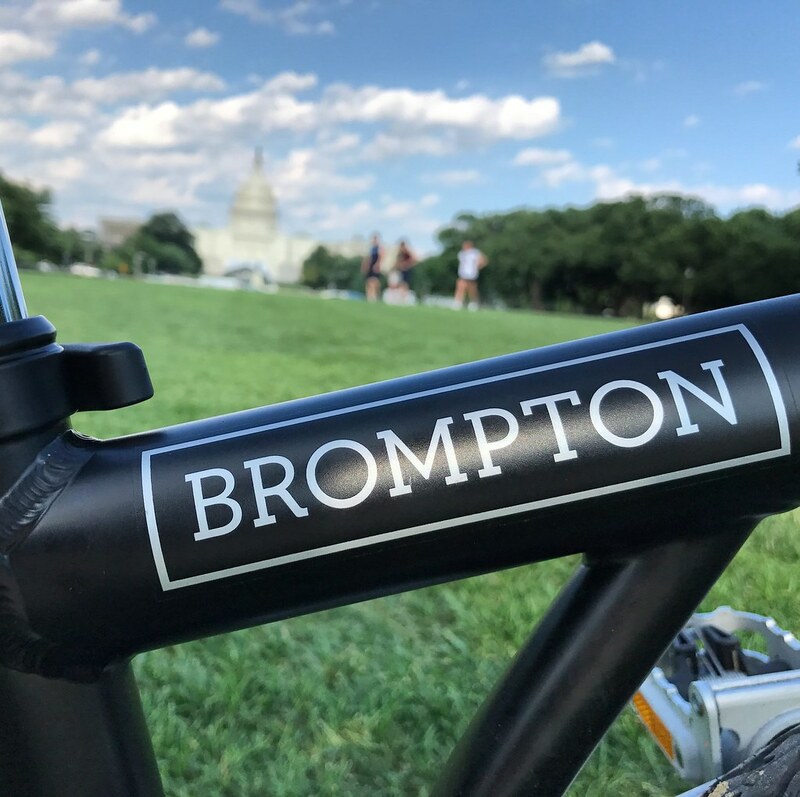 With six speeds and a light frame, the black Brompton I borrowed from BicycleSpace could fly, easily catching people on “real” bikes cruising leisurely around the monuments. With its little wheels, it started quickly from a dead stop and then kept accelerating to almost dangerous speeds. Technically, I could carry my old Dahon. Lugging was a more accurate term. Heavy and ungainly, I took it on the Metro a few times but it wasn’t something I wanted to do regularly. I would’ve developed a huge right arm if I had done so. The extent of my carrying the bike was from the trunk of a car to the street. In contrast, the Brompton is light and easy to carry. Part of it is the bike’s 16″ wheels, which make it a lot lighter than my old Dahon (which had 20″ wheels). The bike is also designed for cities, perfected over a couple decades of use on the London tube. The folding is not simple (the Brompton rep at BicycleSpace made us fold and unfold the bike a half-dozen times before leaving) but it does compress into a tiny package that can be easily carried. My bike even had a rack on it with wheels built into it so that it could be easily rolled through a train station. The Brompton’s legendary portability is achieved by way more knobs and levers than I’d like (as if Dr. Who designed a bike) but you can’t argue with success – it’s perfectly designed for the task of street-to-train transportation. Would you buy an iPhone that looked like a brutal slab? Of course not. The iPhone’s success is due to what’s on the outside as much as what’s on the inside. Bromptons are beautiful, whether they’re passing you on the street or folded up in a shop window. Eye-catching and fun, it’s a bike that you want to own as an art object. 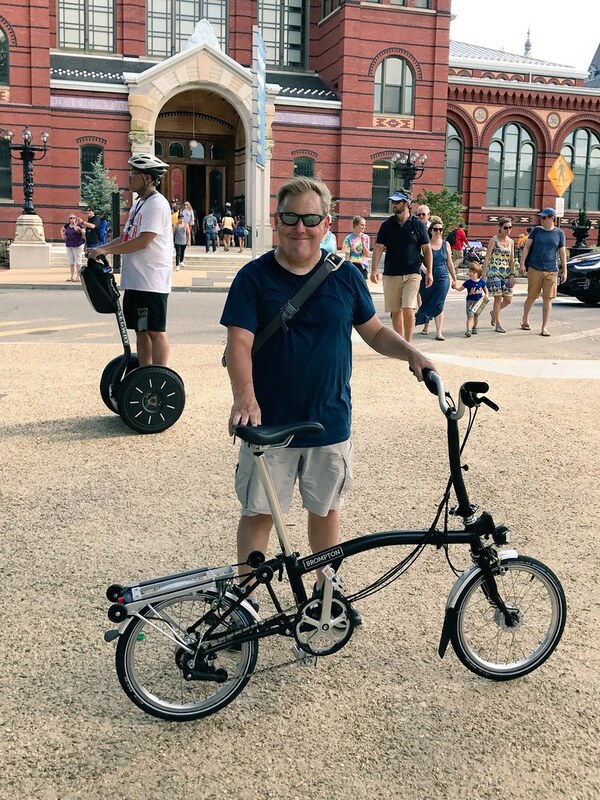 While biking around DC, pedestrians checked out my sleek black ride while Bromptoneers nodded appreciatively. With the ability to customize the bike endlessly (colors, speeds, racks, fenders, lights, handlebars), it’s the ultimate bespoke product for the discerning cyclist. Every bike is a compromise, a calculus of weight, speed and price. 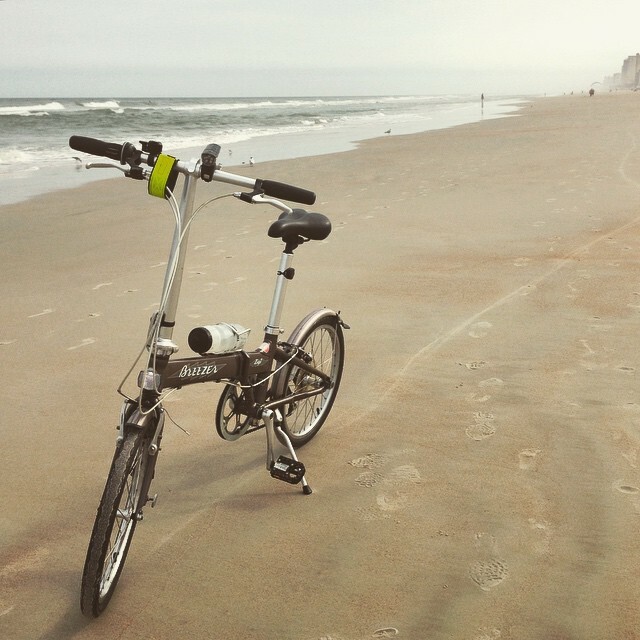 What didn’t I like about the Brompton? 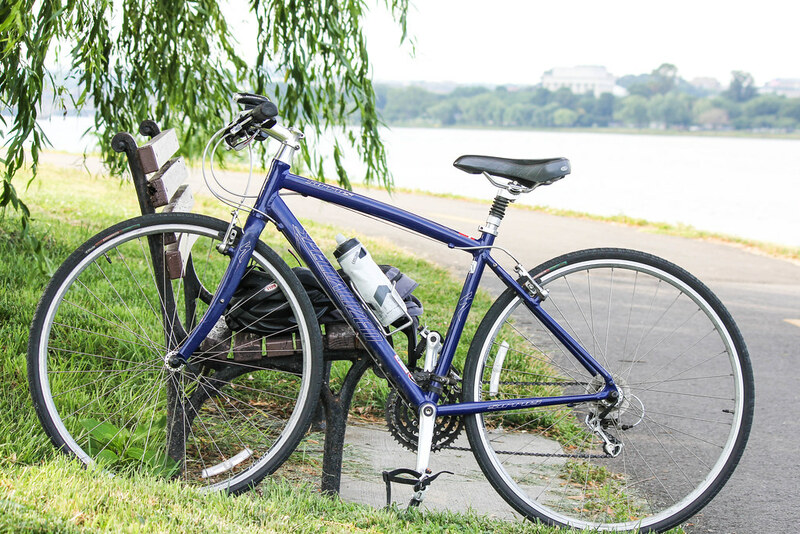 Bike theft is rampant in DC. Just borrowing a $1600 Brompton made me paranoid. No way was this bike leaving my sight. I didn’t worry about my $300 Craigslist find this way. Little wheels make you very conscious of the road ahead. 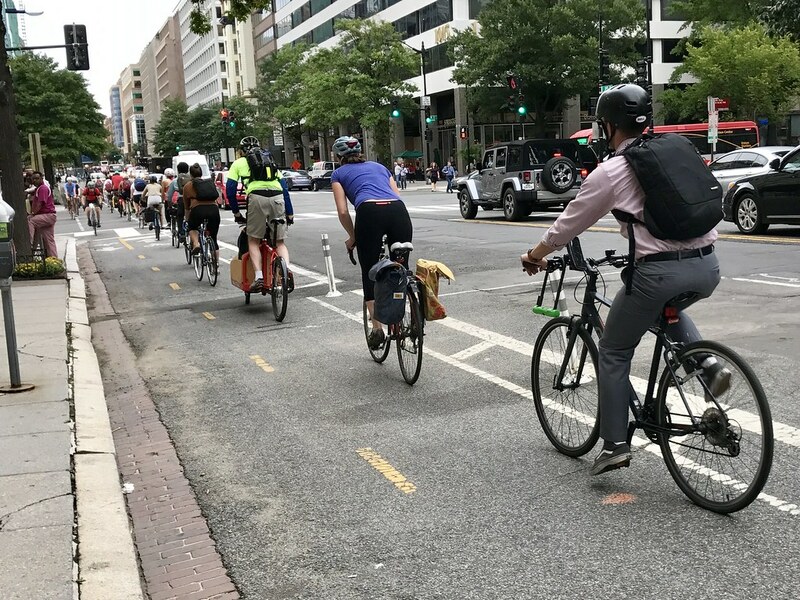 While riding, I found myself scanning the pavement for potholes, ruts, steel plates and other obstacles in DC’s post-apocalyptic streetspace. Wealthy Cycling Fanatics. Some people just like acquiring bikes, filling their spare spaces with every kind of bike they can get their hands on. Obviously a Brompton is needed to round out the collection. Train Commuters. If I had to take the MARC train to Baltimore every day, hell yes I would get a Brompton. It’s the Swiss Army knife of biking – with its fenders, rack and portability, it can do everything and take you just about anywhere. At the end of my 24-hours with Brommie (I named it – a bad sign), I didn’t want to return it. At first, I found the bike a little wobbly and uncertain, due to its small wheels. However, it rapidly grew on me. I liked how the rear wheel folded under the frame, making its own stand. 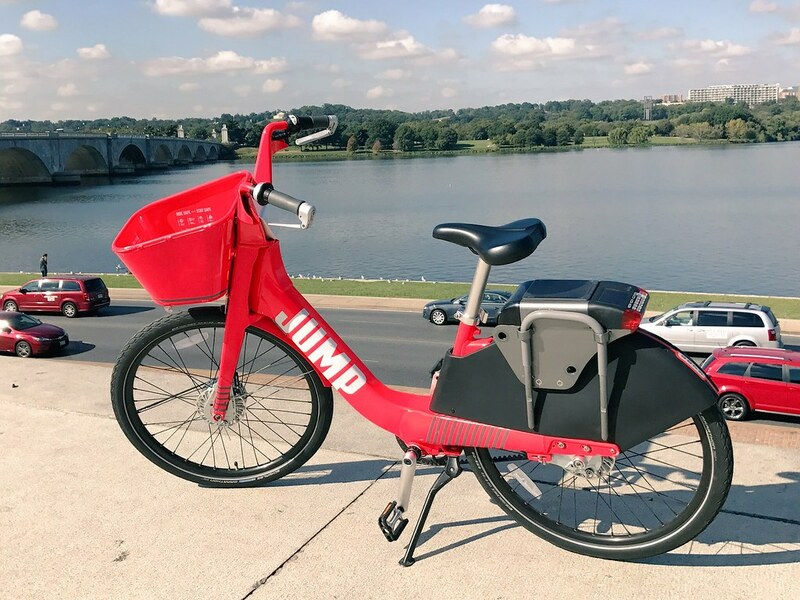 As I cruised along the Potomac, passing hapless tourists on red Bikeshare bikes, I was delighted by its speed. Cornering tightly on city streets, I was reminded of how much fun a foldy bike can be. I would like to own a Brompton – some day. As an object of art and a quick, handy bike, it can’t be beat. But the $1600 price is too high. The casual user might be better off with a Dahon or Giant foldy. But if you want the best, or need the best, then get a Brompton. No matter what bike you get, make sure you try it out first. This is especially true for folding bikes, which handle differently than full-sized bikes. Adios for now, Brommie! Hope to see you again in the future. 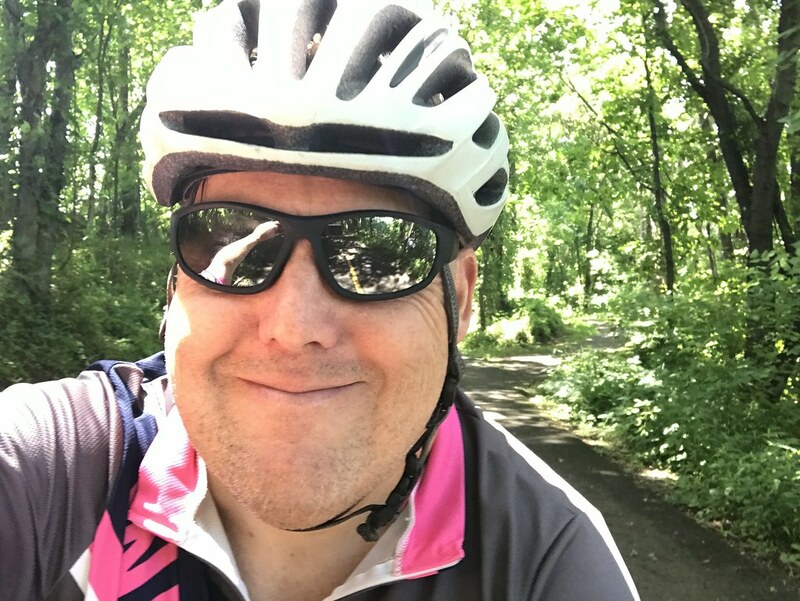 I was recently profiled in Greater Greater Washington for my photography and social media work documenting bike culture in this area. There’s nothing I like more than wandering the city by bike (and drinking coffee), which comes across in the nicely-written article. Usually, I’m the one doing the interviewing so it was different to be on the receiving end of the questions. Rachel and the folks at GGW did a great job cleaning up my answers and turning them into coherent responses. My interview is part of a series called Behind the Handlebars, which will be profiling the people of #BikeDC. “Bikes are happiness machines.” When I said that, I was thinking of this article in Momentum on the mental health benefits of cycling. 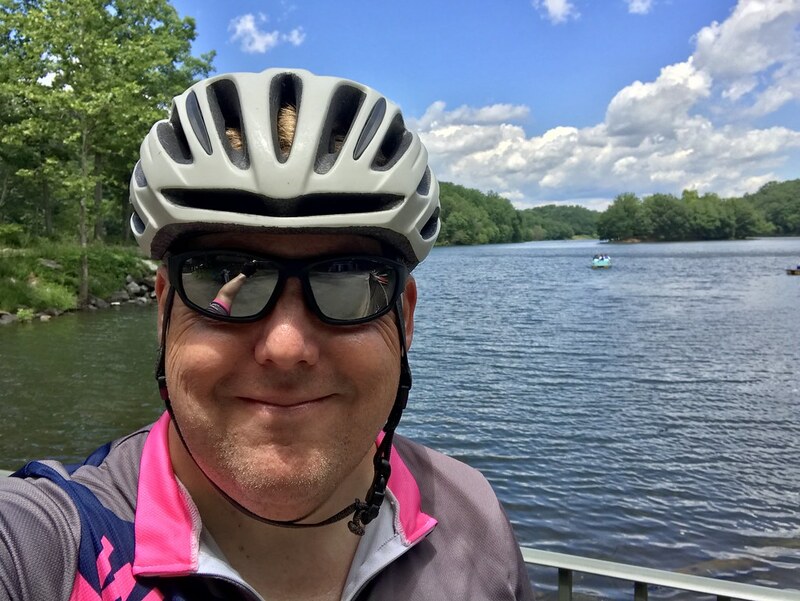 I’ve been out on a bike in all kinds of weather, from the polar vortex to punishing heat, and I’ve never had a bad moment. 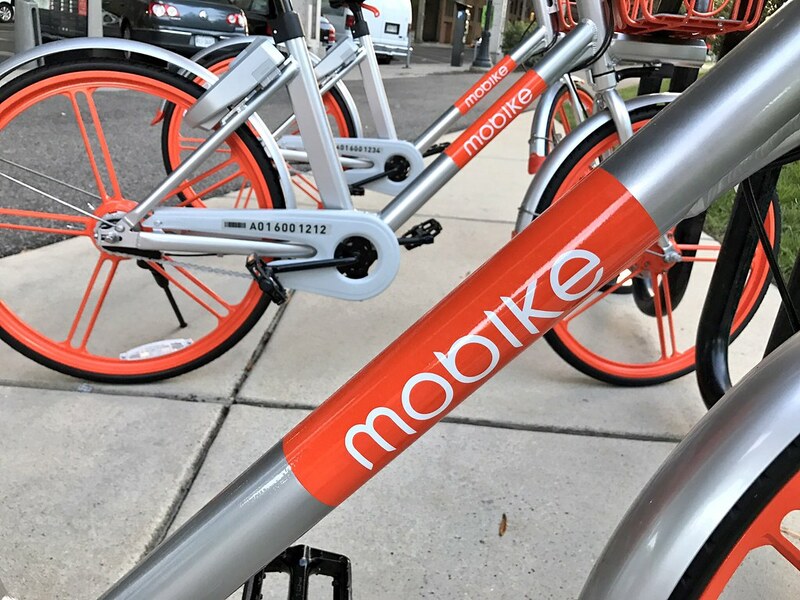 For short trips around DC, I love to use Capital Bikeshare. Bikes and coffee are two of my favorite things. 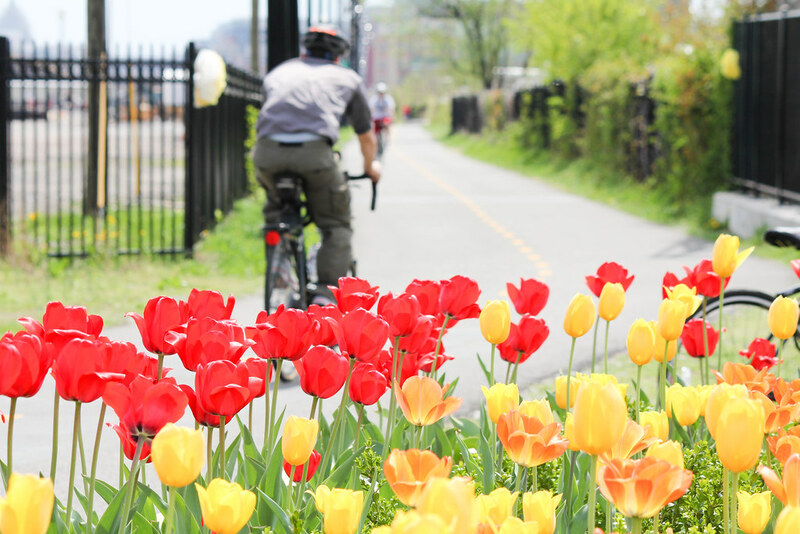 With plentiful bike trails and an endless market for hipster coffee, Washington, DC, is great for both. 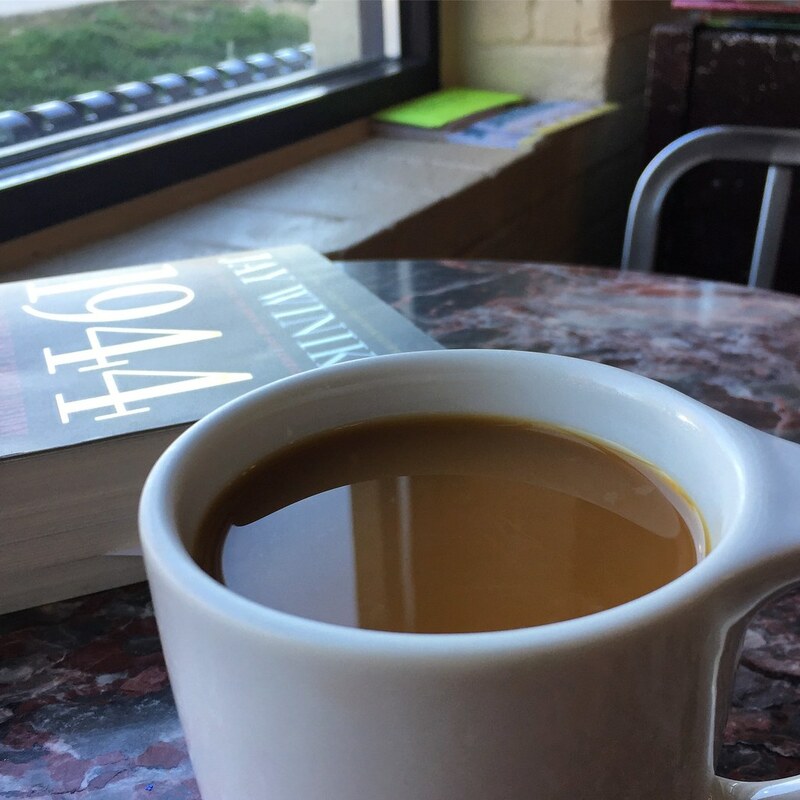 I was coffeeneuring before coffeeneuring – there’s nothing I like better than wandering the city and then stopping for mid-afternoon java. 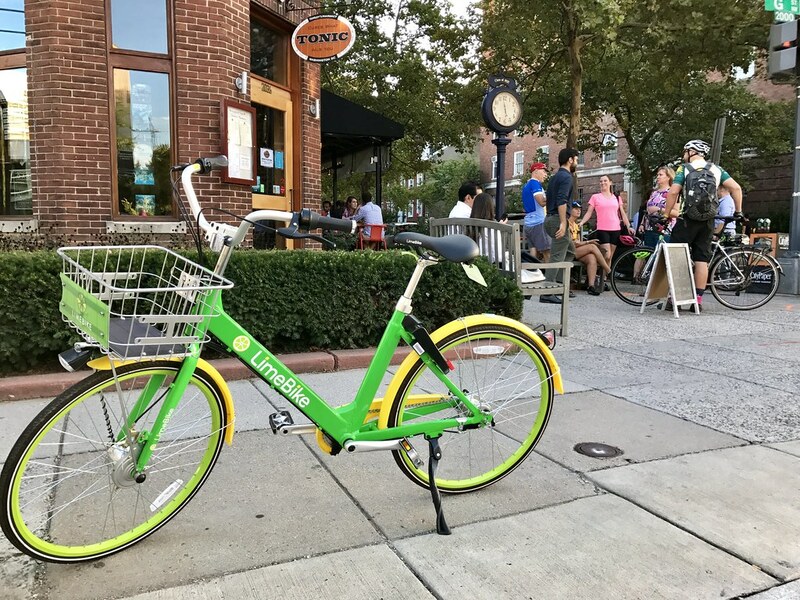 Now in its sixth year, the Coffeeneuring Challenge is where you bike to seven different coffee shops over seven weeks. And with the timely end of my gubment contractor job, I had plenty of opportunities to bike the city. Also, a recent liberalization of the coffeeneuring rules permitted rides during the week – not just the weekends. It was like the universe wanted me to coffeeneur. So I did, biking way more than seven rides. Biking and coffee was nearly a daily experience. Always Be Coffeeneuring, indeed. 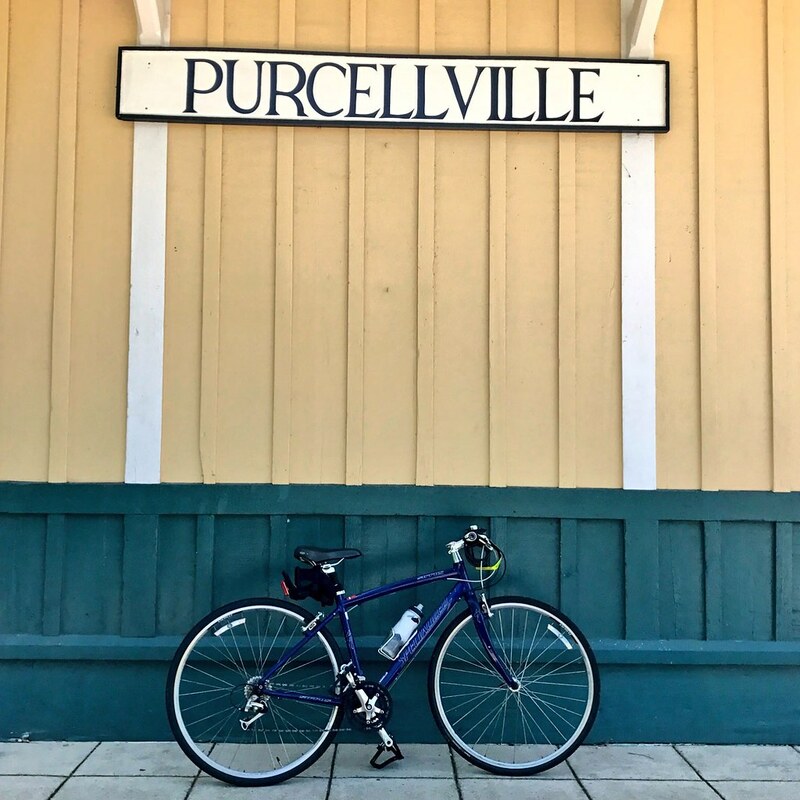 Here are the highlights of my coffeeneuring adventures! Thank you, federal government, for giving me time to catch up on my reading, among other pursuits. 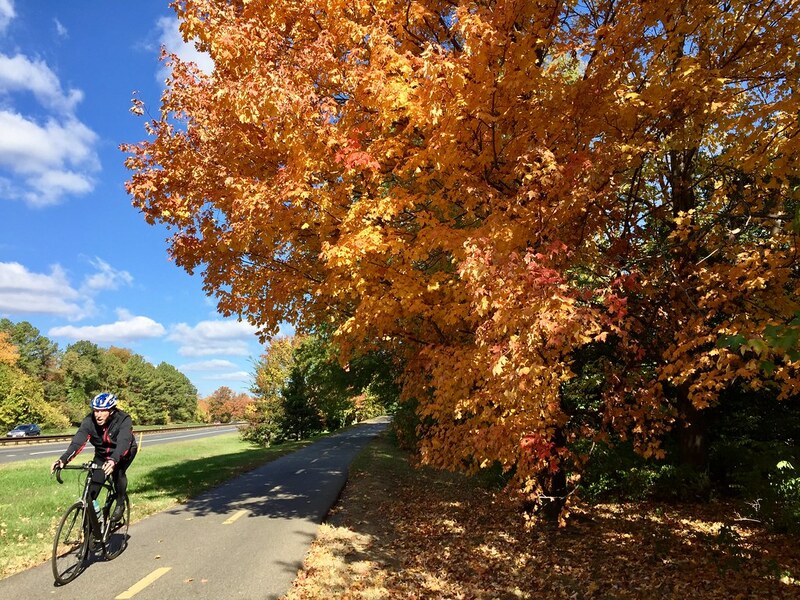 I began my coffeeneuring with a 26 mile jaunt across the river to Swings in the charming Del Rey neighborhood of Alexandria, VA. Squeezed between the Mount Vernon and Four Mile Run trails, Del Rey is very bike-accessible. REI is White People Heaven! Opening day of this new store in the NoMa neighborhood of DC and I’ve never seen such a frenzy. The line to get in stretched around the block and beyond. 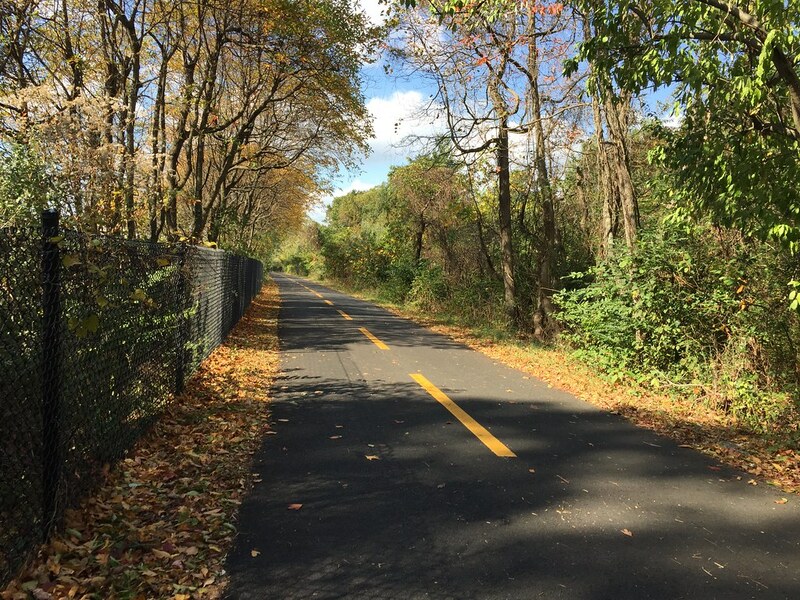 While I waited for that to clear, I cruised up the Metropolitan Branch Trail to Filter near Catholic University. 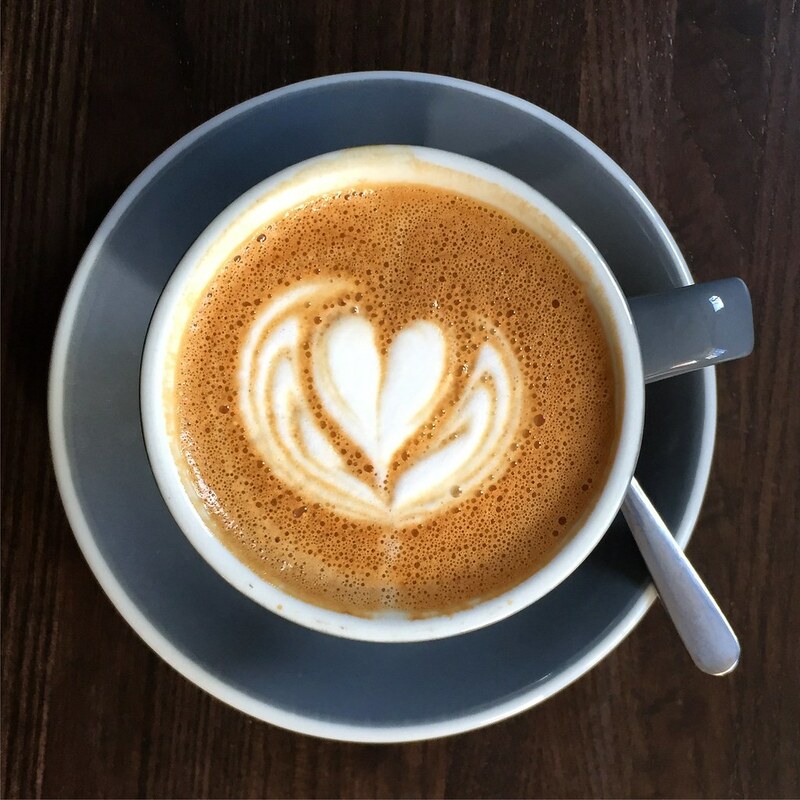 They make one of the best cappuccinos in the city. And the REI is well worth a visit. Located in a historic arena where the Beatles played, it’s huge and packed with cool stuff. 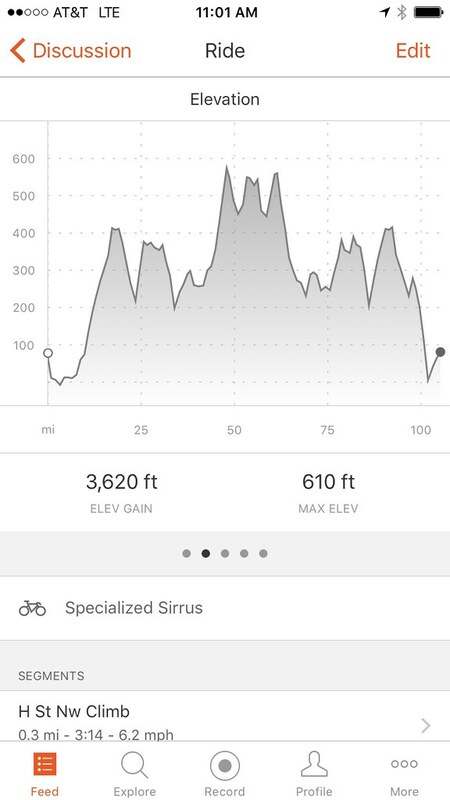 My first metric century! That’s 100k or 65 miles by bike. The secret, I discovered, is to keep eating and drinking. 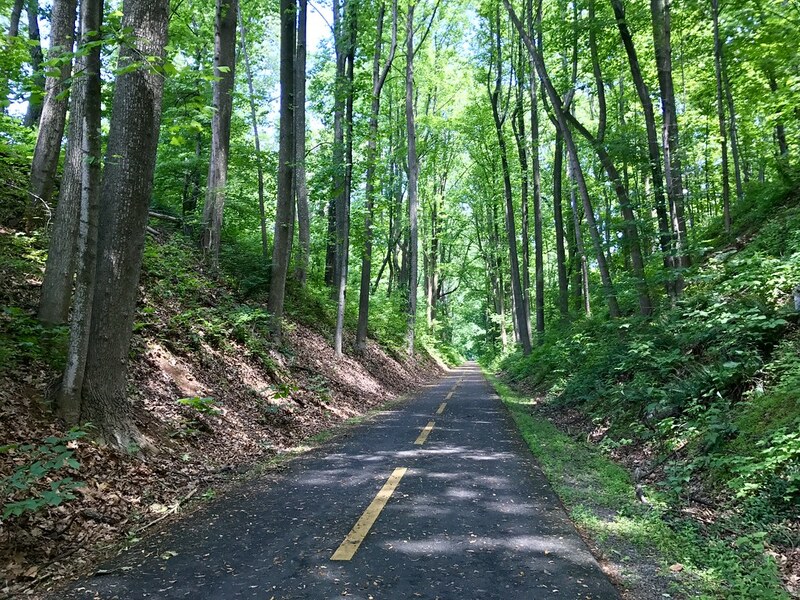 The WO&D Trail is perfect for that. I stopped at the Whole Foods in Vienna for a snack, Carolina Brothers in Ashburn for trailside barbecue and cappuccino in Herndon at Green Lizard. I’m obsessed with the bike commuters on the Mount Vernon Trail. It looks so much fun to bike into the city every morning along the river. So I tried a reverse commute to Shirlington. It was quick and easy. Located a block from Dupont Circle, Emissary had the best coffee of the Coffeeneuring Challenge. This cappuccino was tiny, perfect and delicious. 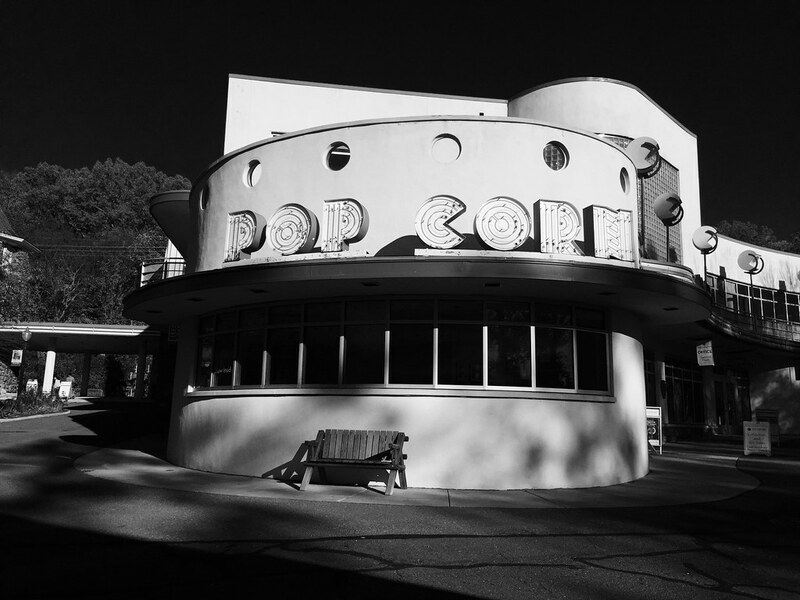 The coffee at this former amusement park was awful. 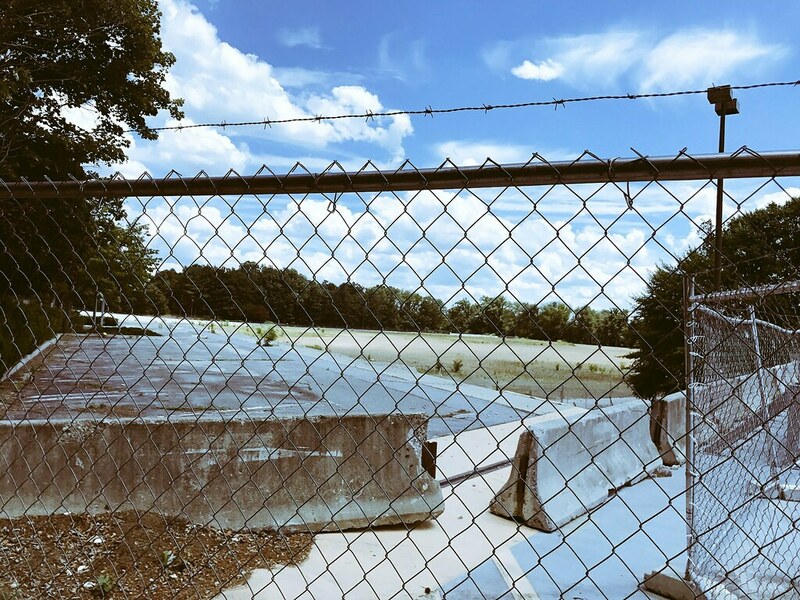 But it’s such an interesting and photogenic spot along MacArthur Boulevard that it’s well worth the trip. 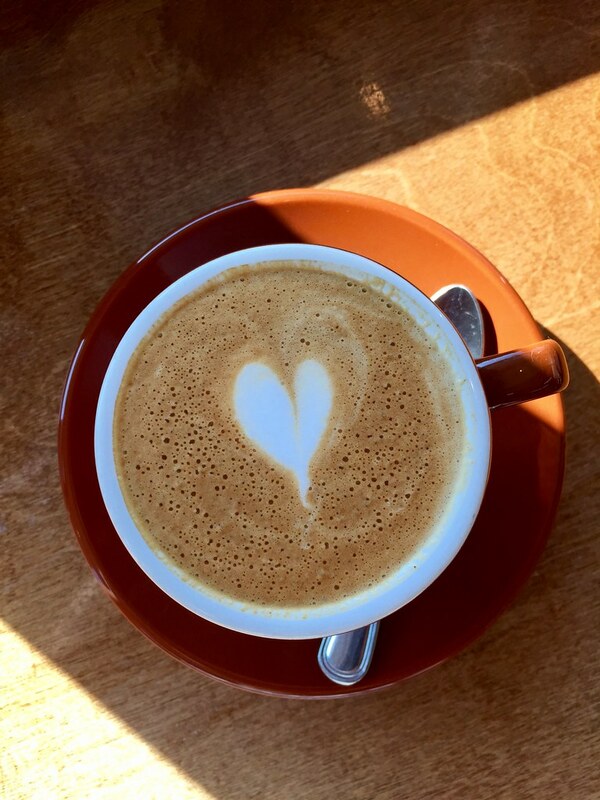 For the grand finale of the Coffeeneuring Challenge, I went to Friday Coffee Club. Every Friday morning, area cyclists gather at A Baked Joint to talk all things bike. It’s where you go to learn about new routes, equipment and other tips. Plus, the coffee is great and they have a nice chorizo biscuit. I’m including this just because it was a delicious. 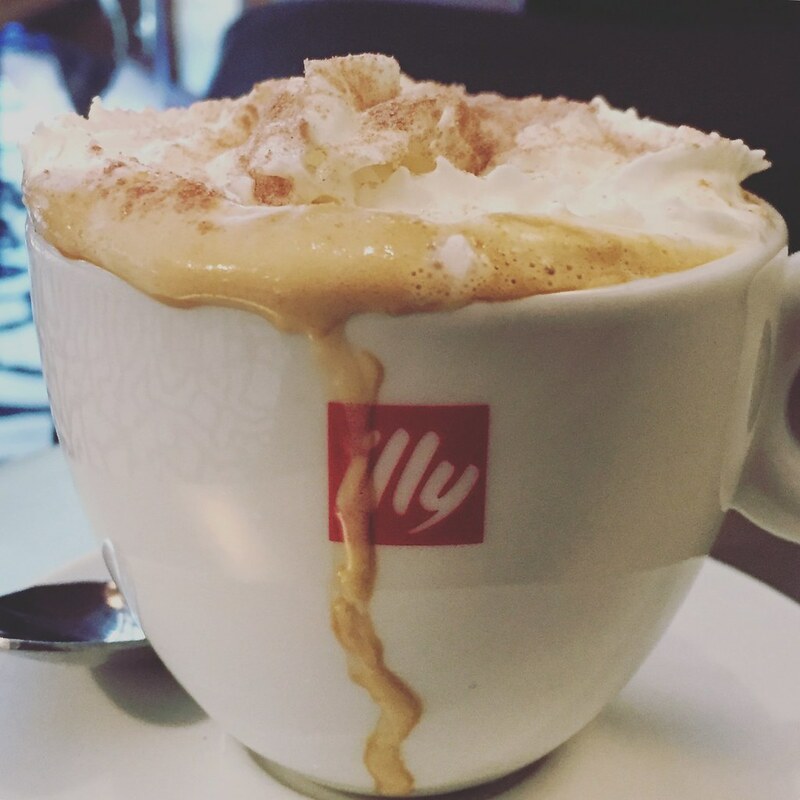 Located in the Renaissance Dupont, Illy Coffee dishes out some great coffee, including this, a Cappuccino Viennese. New to to me, it’s a cappuccino with whipped cream and dusted with cocoa powder. Damn, this was good. 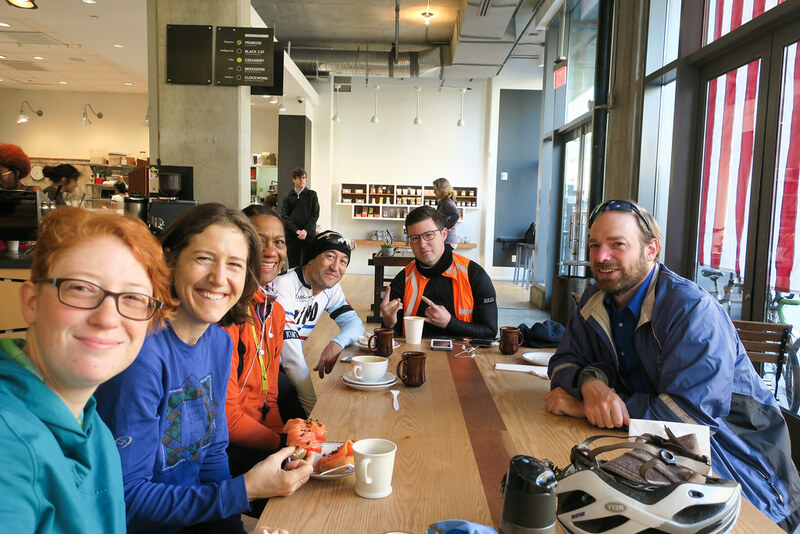 Thank you, Mary G., for starting the Coffeeneuring Challenge! I, of course, love biking and coffee and will take any opportunity to take part in two of my favorite pursuits. But the challenge makes me feel like I am part of something bigger. And I am! Coffeeneuring now takes place in every part of the globe. It’s a worldwide movement of bikes and coffee. 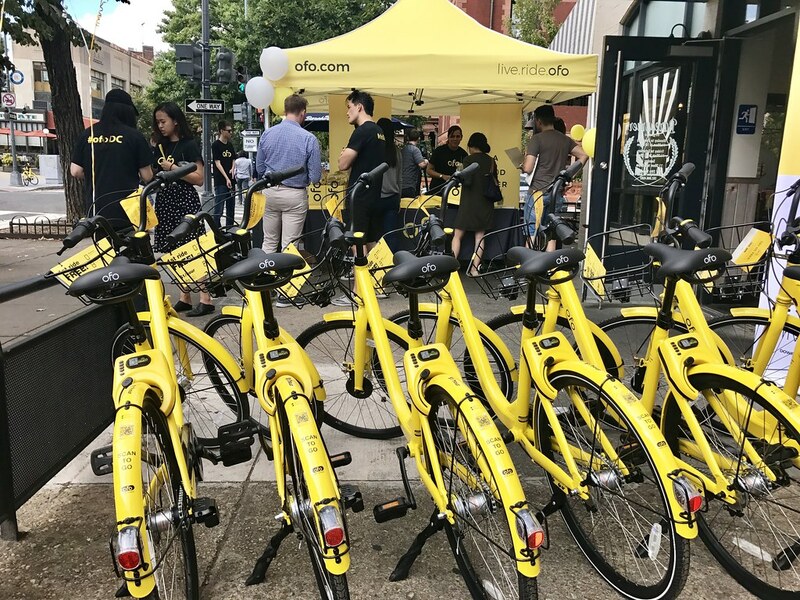 Photos from the Washington Area Bicyclists Association (WABA) happy hour at Mission, where Mayor Muriel Bowser signed the Motor Vehicle Collision Recovery Act of 2016. This new law makes it easier for cyclists and pedestrians to sue motorists who hit them. I happened to be standing next to the Mayor as she waited to be introduced. 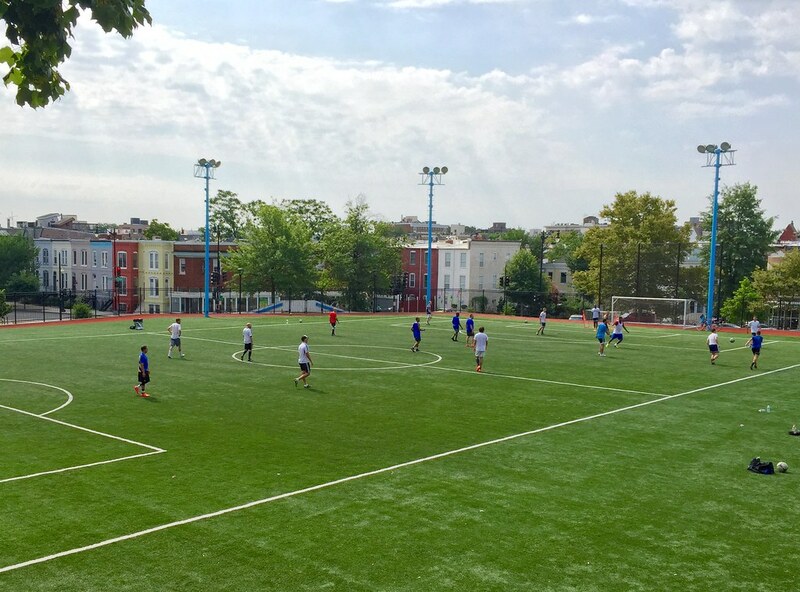 She was amazed at the turnout – all the local networks were there, as well as DC Councilmembers Cheh, Grosso and Silverman. 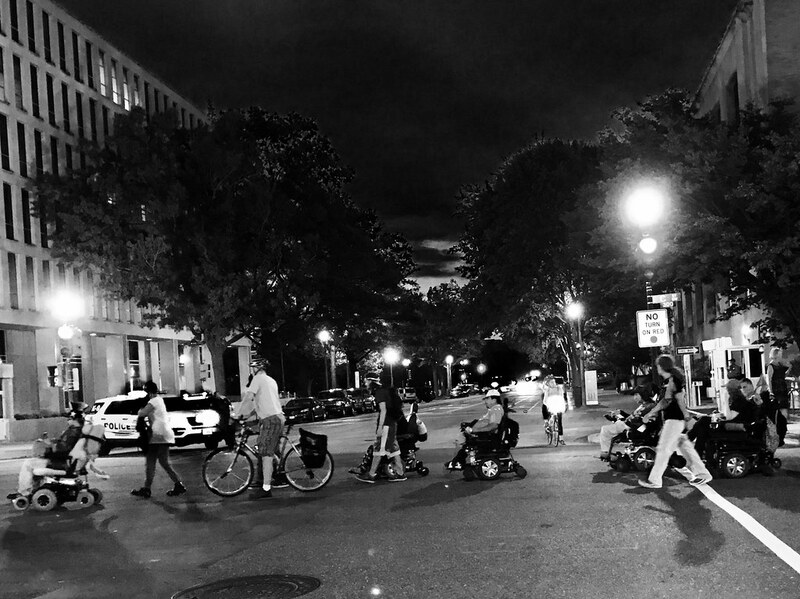 And no wonder – biking has never been bigger in DC. With protected bike lanes and bike sharing, more people than ever are taking to two wheels. The Mayor remarked that getting more people biking will help reduce gridlock. And it’s faster than driving, in many cases. 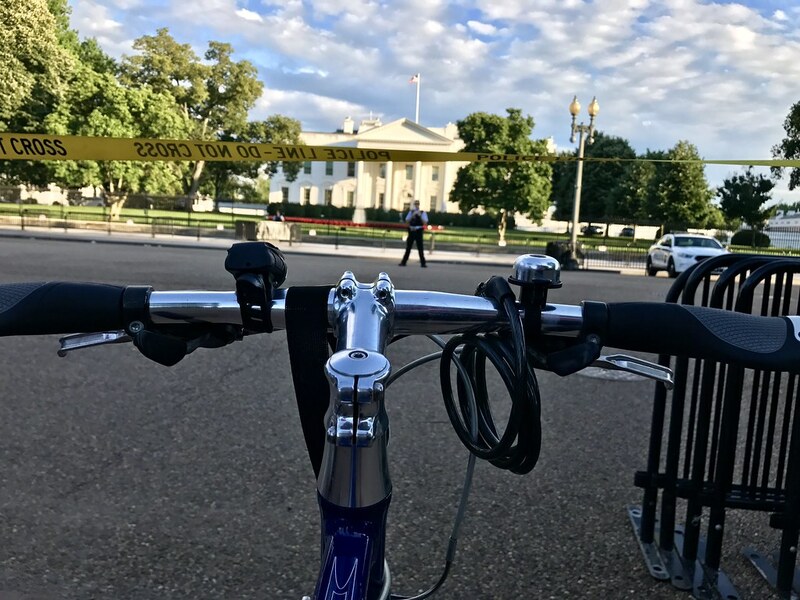 Bowser’s Chief of Staff got from City Hall to Mission on his bike faster than she did in her motorcade. It was fun to see so many friends from WABA, an organization that I’m proud to support. All the photos came from my new Canon G9X, a handy point and shoot. With this little camera, I was able to drink beer, eat guacamole and take pictures all at the same time!